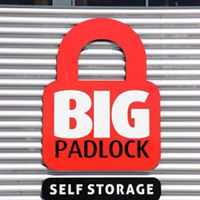 Here at Big Padlock Self Storage, we provide a safe and secure storage solution for your personal and business needs at prices to suit your budget. All our storage facilities are clean, dry and highly secure for peace of mind while storing at any of our sites. With 24/7 CCTV and state of the art security systems throughout our, your belongings will be kept safe at all times. We strive to make your stay with us as stress-free and as uncomplicated as possible.